Read about Retrospeed’s restoration process here. 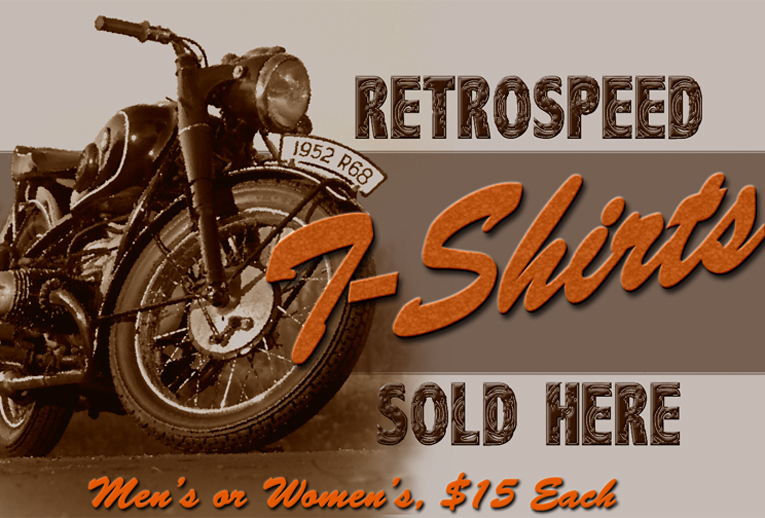 Retrospeed Vintage Motorcycle Repair is Wisconsin's favorite motorcycle restoration and repair shop. Serving the Milwaukee, Port Washington, Belgium, Plymouth, Elkhart Lake, and Sheboygan areas, Retrospeed loves the motors that the dealers don't have time for. Bring in your vintage motorcycle, atv, snowmobile, or watercraft and get the best service for your toys. It's motorcycle season, come visit us in Belgium, WI!